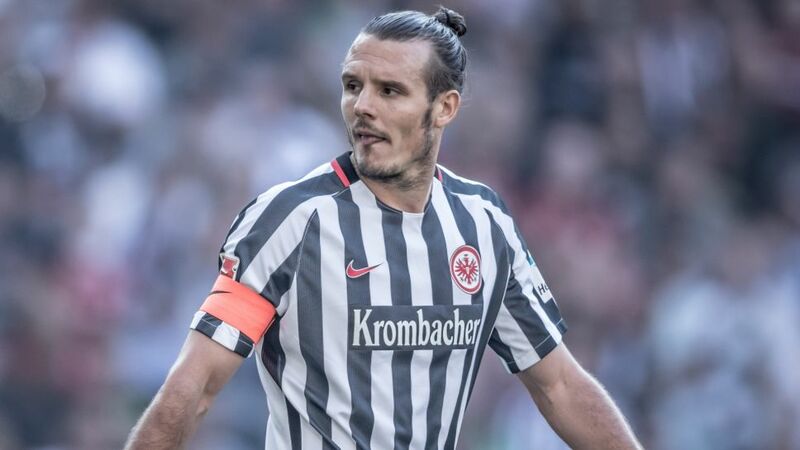 Bundesliga | Frankfurt's Alex Meier looking forward to "biggest game of my career"
Frankfurt's Alex Meier looking forward to "biggest game of my career"
Eintracht Frankfurt captain Alex Meier is looking forward to "the biggest game of my career" as the Eagles prepare to face Borussia Dortmund in the DFB Cup final in Berlin on Saturday. Click here for all the latest on the DFB Cup final! The 34-year-old striker has struggled for fitness this season, making just 21 Bundesliga appearances and scoring five times. He made his comeback from injury in the dramatic 2-2 draw against RB Leipzig on Matchday 34, a game he believes will stand Frankfurt in good stead against Dortmund. "Picking up a point was a success for us," Meier said at the pre-match press conference on Friday. "We saw that we can play and that even against good opponents we're able to fight back if we go behind." Needless to say, that is not part of coach Niko Kovac's gameplan at the Olympiastadion: "We want to win this match and we're really motivated," continued Meier. "It'll be an exciting game […] It would be my first title if we win it, and the whole of Frankfurt is rooting for us." Meanwhile, Meier's team-mate Marco Fabian posted a heartfelt message on Twitter, revealing his thoughts and feelings ahead of the big game: "Tonight is a night of nervousness, happiness and reflection, full of the adrenaline you feel before a final… and not just any final, but a final in one of the best leagues in the world with the team that believed in me and made my dream of playing in Europe come true […] I don't know what will happen tomorrow but I know I'll go out there and give everything for my team and my team-mates and to represent my beloved Mexico as best I can."